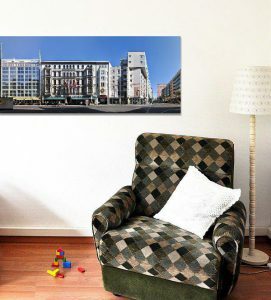 Checkpoint Charlie was the most familiar crossing point of the inner-german border in Berlin, being part of the Berlin Wall. It was the single border crossing point allied forces were allowed to use and one of the few designated crossing points for foreigners. These are the buildings standing directly on the western side of the former crossing point. 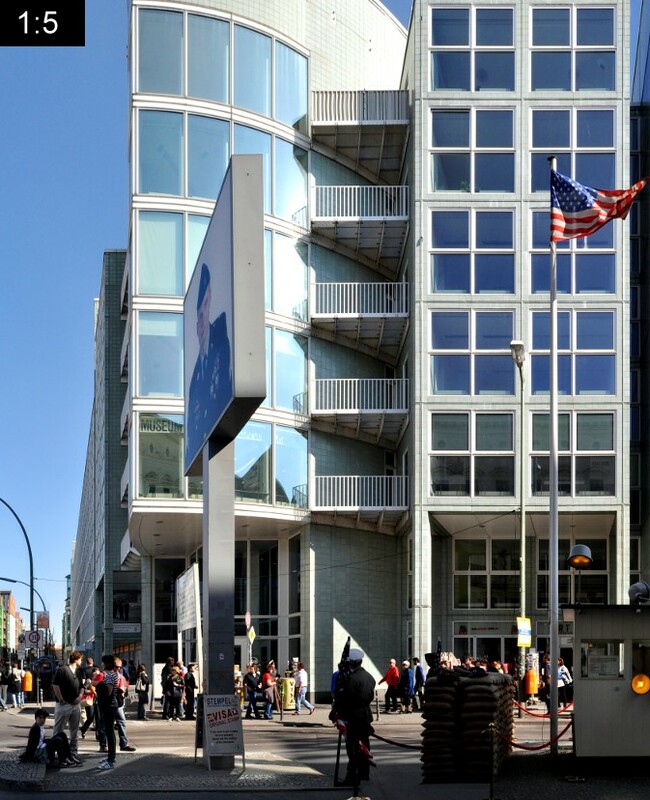 In the foreground to the left we see a copy of the original western side checkpoint building from the 1960s. 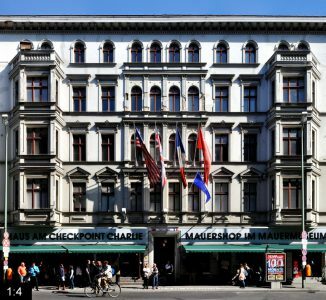 Today Checkpoint Charlie is a tourist attraction. 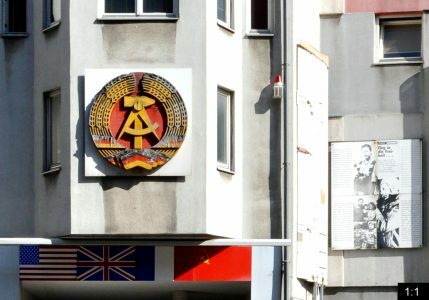 The old barrack, together with historical border signs, artists dressed as soldiers and a display showing a sowjet and an american soldier are a popular motif for photographs. The whole street front along the eastern side of the Friedrichstrasse belongs to a museum today. 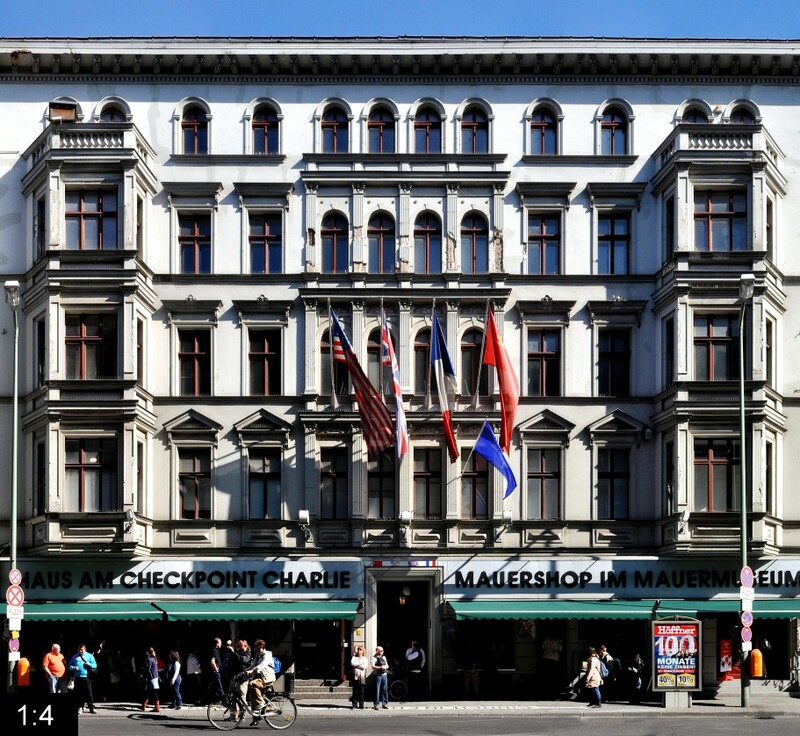 The Mauermuseum (Wall Museum), also called Museum Haus am Checkpoint Charlie (Museum House at Checkpoint Charlie), was established in the 1960s and expanded several times. 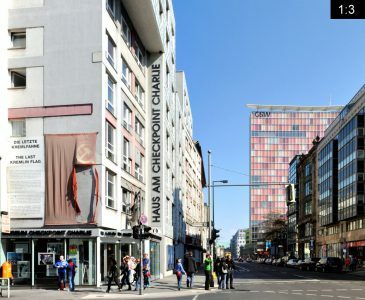 The building to the left is from the 1990s and the building to the right, the original Haus am Checkpoint Charlie, was errected during the international building exhibition in Berlin 1984 (IBA) and designed by the american architect Peter Eisenmann (*1932). 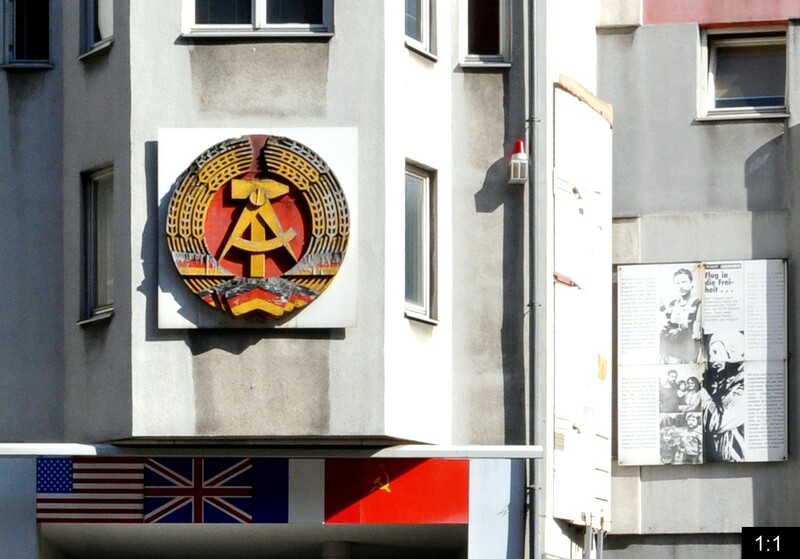 The facade bears a GDR emblem as well as a copy of the last Kremlin-flag.